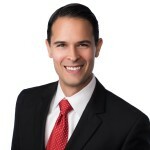 UCS | Erik Necciai - Universal Consulting Services Inc.
As Vice President, Erik Necciai oversees the corporate direction and strategy for UCS’s national and global operations. Specifically, he focuses on developing and encouraging UCS’s core values: striving for excellence in our services; promoting a culture of teamwork; and, leading the industry with a passion for our customers and our employees. Erik brings a wealth of knowledge on business and federal contracting issues gained from his service in all three branches of the federal Government. His experience in the private sector is equally diverse, with experience ranging from small businesses to large corporations like SAIC. Prior to joining UCS in 2009, Erik served as Counsel to the U.S. Senate Committee on Small Business & Entrepreneurship where he developed legislation in the areas of procurement, acquisitions, contracting, technology, and innovation. Erik has a J.D. from Western Michigan University Thomas M. Cooley School of Law and a B.S. in Biology and Chemistry from Virginia Tech. Erik is a licensed attorney in the state of Maryland. He is also a member of the American Bar Association (ABA), Maryland State Bar Association, and the National Contract Management Association (NCMA).